Welcome to the home page for the Grace and Harold Sewell Memorial Fund for medical and health care librarians. Enjoy learning more about the fund at this site! 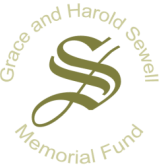 The mission of the Grace and Harold Sewell Memorial Fund is to increase librarians' identification with medical, pharmaceutical, and health care professionals. Medicine for the 21st Century underlines the key role of information resources in raising the quality of health care. (1) Librarians experienced in managing knowledge and teaching informatics can supply quality information by becoming ongoing members of the health care team. Immersion in the health care environment is necessary for librarians to understand how health care professionals solve problems individually and through consensus. (1) Institute of Medicine. Crossing the quality chasm: a new health system for the 21st century. [Web document]. Washington, DC; National Academy Press, 2001. http://www.nap.edu/books/0309072808/html/).